Central Jakarta Administration has put up signposts and stickers against 90 taxpayers who are in arrears of Urban and Rural Land and Building Tax (PBB-P2) this year. The total tax bill of these arrears is Rp 28,561,520,850.
" 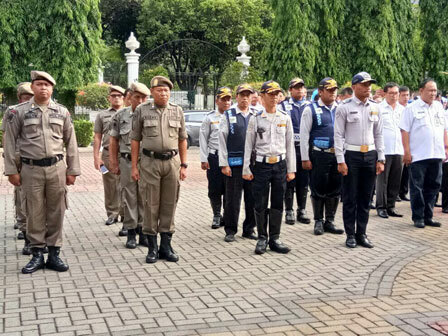 It's one of the steps for taxpayers to pay off tax immediately"
Central Jakarta Deputy Mayor, Bayu Meghantara said some of them do not pay taxes ranging from 1-2 years. He added those taxpayers are spread in eight sub-districts throughout Central Jakarta. Among them are in Sawah Besar (5 taxpayers), Gambir (5 taxpayers), Menteng (23 taxpayers), Kemayoran (20 taxpayers), Johar Baru (8 taxpayers), Senen (5 taxpayers), Tanah Abang (15 taxpayers), and Cempaka Putih (9 taxpayers). "Before putting up sticker and signpost, we have sent warning letter," he closed.